Being Responsibly Clean is a core philosophy that Swinton Building Services has followed for over 28 years. We recognize cleaning products and practices have a direct impact on quality of life for employees and the environment. When maintaining facilities, we “care” for a building as a whole and go far beyond providing just basic janitorial services. For more information on how our GREEN CLEANING can help you. Selecting products that meet environmental health and safety criteria of recognized certification programs. Select products that meet our performance criteria to minimize any risk of sub-standard product performance which can include high cost when diluted and gives a lower than the satisfactory result or leaves an excess residue. Going beyond just looking clean - Even facilities that look clean can still be unhealthy. 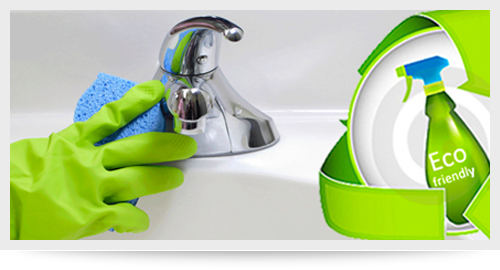 Our approach is to focus our cleaning on cleaning for the health of the environment, employees, and appearance. Reduce any human exposure to harmful contaminants and cleaning residues. Areas, where work is being done, should have adequate ventilation, and work schedules should minimize exposure to building occupants, even if the chemicals are eco-friendly. How water extraction carpet cleaning machines that can allow carpets to dry within 24 hours when cleaned. For further information on our Industrial Cleaning in Edmonton AB or for any other cleaning/janitorial service which you may find beneficial, please visit our website swintonbuildingservices.com, or contact our professional service staff on Edmonton on 780 – 939 – 2799 and receive your free quote. Our support staff is available to be contacted 24/7, 365 days per year to accommodate any of your Industrial Cleaning requirements. For more, click here for a special video offer.